Cross-selling marketing programs can capitalize on the potential value from your customer base and help to drive your return on investment. 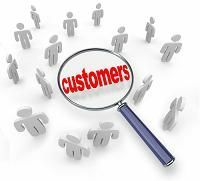 Your current customers are your most valuable commodity because they are already at least minimally educated about the benefits your products and services afford and are aware of the value of your brand. In fact, high-performing businesses know this value, and they prioritize up-selling and cross-selling, getting results in terms of generating customer loyalty, increasing profits and creating a stronger revenue stream. Customer retention – Consumers who are loyal to your brand are more valuable. Theyre more willing to buy from you than a cold prospect will, and they are more likely to buy other products and services from you in the future, as well. A series of communication touch points designed to get referrals, generate leads and cross-sell will give you a competitive edge in a tight market. Lead generation – To succeed in today’s marketplace, businesses must combine their marketing efforts, putting lead generating programs to work to find out what potential customers need and what existing customers want. A subtle but effective way to cross-sell is to use a customer satisfaction survey that strategically elicits information about consumer buying habits and needs, along with requesting referrals. Cross-media focus – The most effective cross-selling campaigns use media across the board, which can include email marketing, printed mailings, QR codes and surveys, along with seasonal greeting cards. Based on any chosen timeline, you can develop a cross-selling marketing campaign that will gently nurture relationships with customers and turn them into high-value buyers. At Continuity Programs, we’ve been helping businesses in more than 20 industries boost their ROI in cross-selling marketing campaigns since 1973. Why not put the power of our experience and tested, customizable programs to work for your business? Contact us today, or visit our website for more information.